I have been doing a lot of reading about how to get kids excited about your teaching. The goal is to create rich experiences for them and opportunities to go on an adventure in and out of school. Teaching FOSS kits for science doesn't always lend itself to that, but this year my goal is to plan "stay"cations for my students. I want to provide opportunities to make fun connections with what we are learning in science. Our first graders are learning about jobs they could have that deal with animals. 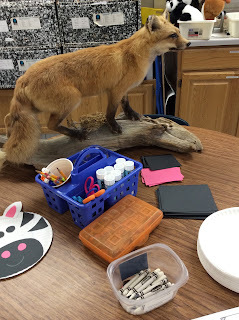 We are building a zoo, learning about taxidermy, and later on marine biology! 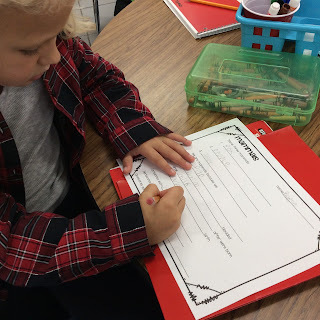 We are connecting our lessons to adventures we can have using what we can get our hands on! Next week, we are going gold prospecting in our school garden...digging up our potatoes. 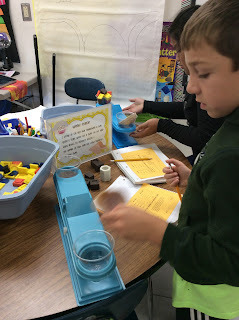 This allows us to connect science with social studies! A majority of my kiddos don't get to go anywhere outside of our town...so why not set the mood in our room and around our school! We then get to meet Foxy Fox. Using a real mammal really gets them seeing the characteristics! It is also a great incentive. Sheet first...then pet the fox! 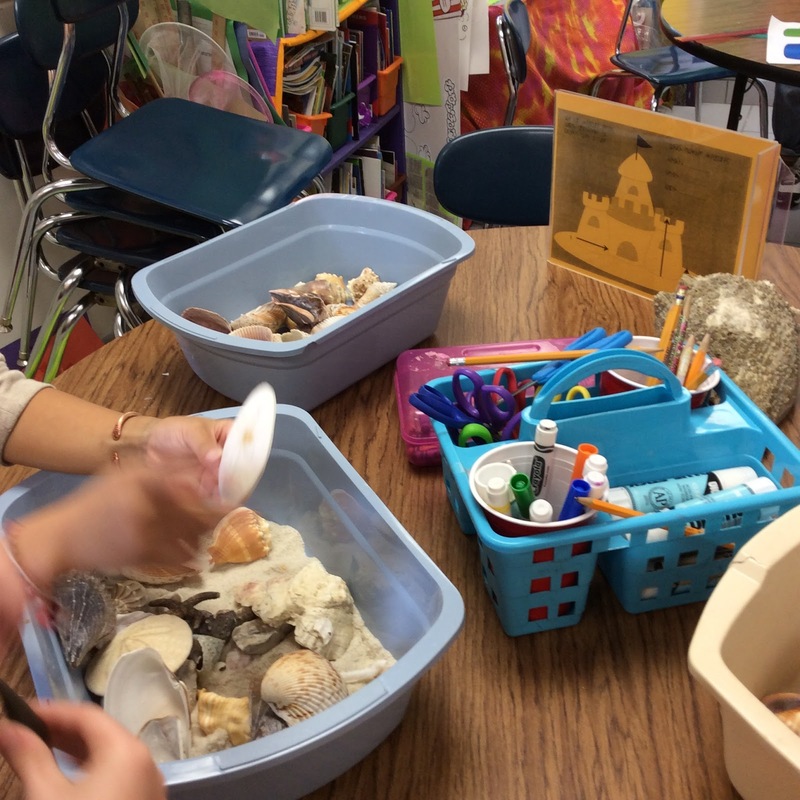 This week...my third graders are going to the beach! Beach Boy music in the background...sand and shells everywhere. Why? To practice measurement sillies! This is from my measurement stations found in MY STORE ON TPT. My second graders are going to Paris, France! With french cafe music in the background...pictures of the Eiffel Tower on the smartboard...we are learning science! You wonder how? We are learning about Air. Gosh! I found this great book on EPIC books called Pierre In The Air. It all started there! We are using the FOSS air lesson on parachutes with no books in our library about that. I found this book and Voila! A french scene to set the mood! I even researched how to speak with a french accent on you tube to read the story! After building a parachute...getting on a plane...and traveling outside to Paris...we learned about air resistance. Check it out! The kids loved the fun way we learned about air and it seemed to stick better when we reflected! 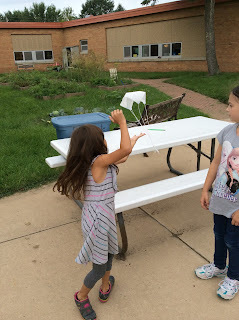 Testing our homemade FOSS parachutes! 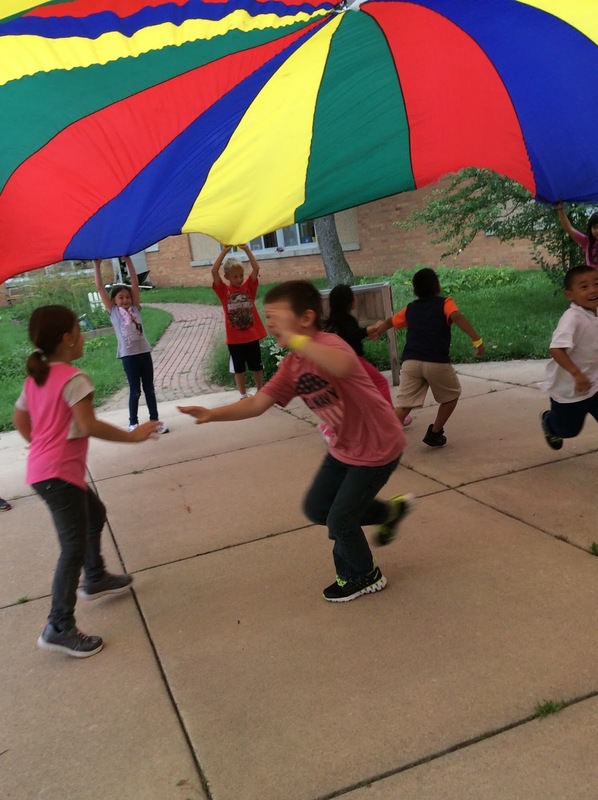 The best is saved for last...the real parachute and a fun color swap game! Now...what can you do to make science an adventure? What can you do to make science simple and yet...fun! Let me hear what you do to tie in real world experiences!